The feud erupted on June 5 when Saudi Arabia, the United Arab Emirates, Bahrain and Egypt severed diplomatic and travel links with Qatar. 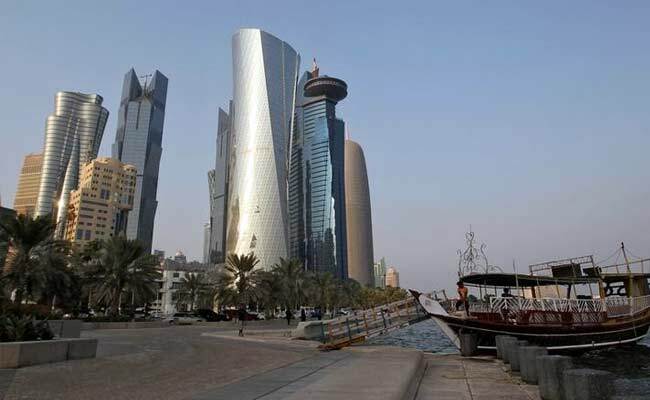 Qatar was considering a complaint at the WTO against a "blockade" by the Arab states. Qatar said on Thursday it was working with the United States and Kuwait to respond to a list of demands presented by Arab states who have accused Doha of supporting terrorism, an allegation that ignited a regional crisis between the U.S. allies. The feud erupted on June 5 when Saudi Arabia, the United Arab Emirates, Bahrain and Egypt severed diplomatic and travel links with Qatar, accusing it also of courting regional foe Iran. Qatar denies the allegations. Doha was ready to discuss "legitimate issues" with Arab states to end the crisis but some demands were impossible to meet because the underlying accusation was untrue, Qatari Foreign Minister Sheikh Mohammed bin Abdulrahman al-Thani said in a statement earlier on Thursday. "We cannot 'sever links with so-called Islamic State, al-Qaeda and Lebanese Shia terrorist group Hezbollah' because no such links exist," the statement said. "And we cannot 'expel any members of Iran's Revolutionary Guard' because there are none in Qatar." The four countries have sent Doha a list of 13 demands, including closing the state-funded Al Jazeera television station and reducing ties to Iran, an official of one of the four countries said. They gave Doha 10 days to comply. The deadline is expected to expire on Sunday. Kuwait, which retained ties with Qatar, is trying to mediate in the dispute with the support of the United States. In Washington on Thursday, Sheikh Mohammed bin Abdulrahman al-Thani told reporters that Qatar, together with the Americans and Kuwaitis, was preparing responses. "We have to set the conditions first in order to pursue these negotiations," Sheikh Mohammed said. At a later event, Sheikh Mohammed said the future of the six-nation Gulf Cooperation Council could be at risk. The security group comprises Saudi Arabia, the United Arab Emirates, Qatar, Bahrain, Kuwait and Oman. "We believe this is a big question mark for the future of the GCC," the foreign minister said in response to a question. The group was formed to guard against external threats, he said, adding: "When the threat is coming from inside the GCC, there is a suspicion about the sustainability of the organization." Sheikh Mohammed has called the demands by the four Arab countries "unreasonable" and said setting a deadline impinged on Qatar's sovereignty. Doha was ready to discuss "legitimate issues" with Arab states to end the crisis but some demands were impossible to meet because the underlying accusation was untrue, the foreign minister said in a statement earlier on Thursday. "We cannot 'sever links with so-called Islamic State, al-Qaeda and Lebanese Shia militant group Hezbollah' because no such links exist," the statement said. "And we cannot 'expel any members of Iran's Revolutionary Guard' because there are none in Qatar." The director of Qatar's World Trade Organization office, Ali Alwaleed al-Thani, said Qatar was considering a complaint at the WTO against a "blockade" by the Arab states. NATO ally Turkey has backed Doha in the rift. Qatar's defence minister is due to visit Ankara on Friday and will hold talks with his Turkish counterpart, sources at Turkey's defence ministry said. A new contingent of Turkish forces had arrived in Doha, Al Jazeera reported.